We are a renowned Manufacturer and Supplier of precision engineered Hydraulic Bale Press in India. Available in capacities from 50 tons to 500 tons, our Hydraulic Bale Press is fabricated using sophisticated technology in compliance with the set industry standards. This bale press is ideal for use for sugar bag, poly bag, liner bag and etc. in different industries. High efficiency, simple operation, low maintenance and exceptional durability are the prime highlights of our Hydraulic Bale Press. 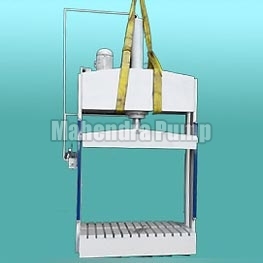 Our Hydraulic Bale Press is made available in different specifications at market leading prices.